Finally its cool enough for sweaters, Ive been waiting for some cozy clothes weather! this Au Revoir sweater is from H&M only it's last seasons :/ but I still love it, and I fully support reusing! anyone who says you cant wear the same outfit more than once obviously has a bottomless wallet $$$ but for those of us who don't must improvise. The cage top over the sweater is elastic, playing around with it so you will most likely be seeing it again. 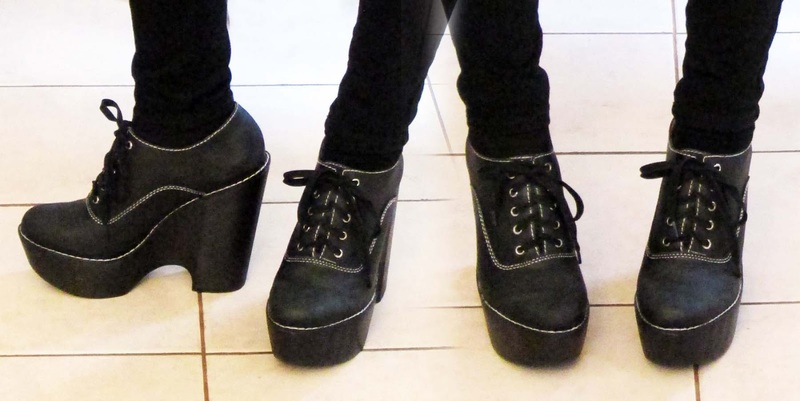 Also I have new Jeffrey Campbells <3 in love!